Time saving: save 15-30 min comparing with agarose beads. Simple operation: Magnetic separation and centrifugation-free. Data from the researcher in College of Animal Sciences Zhejiang University. Anti-Flag magnetic beads is based on hydroxyl magnetic beads covalently coupling with high quality recombinant mouse monoclonal antibody. 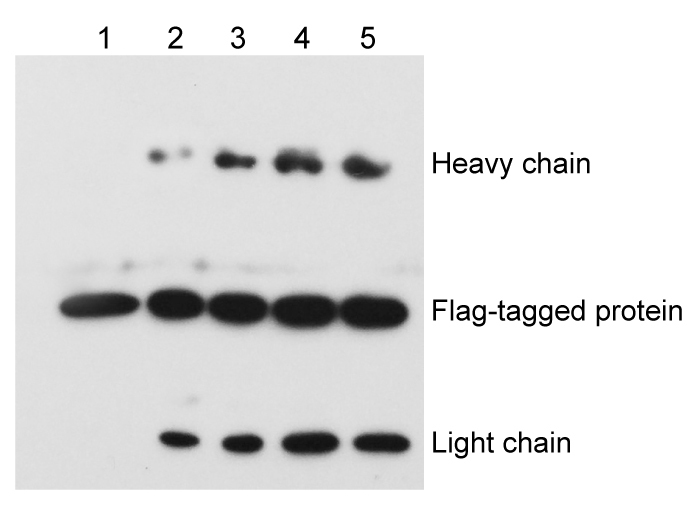 With high loading of Flag-tagged protein (more than 1.1 mg protein/mL) and high specificity, it is recommended to use for co-immunoprecipitation and protein purification. Store at 2-8°C for 2 years. DO NOT freeze or centrifuge Magnetic Beads. High background Nonspecifically binding of proteins to the antibody, megnetic beads or EP tubes Pre-clear lysate to remove nonspecific binding proteins. After suspending beads for the final wash, transfer the entire sample to a clean EP tube and then centrifugation. Washing times are not sufficient. Increase the number of washes. Increase duration time of washes. No signal is observed. 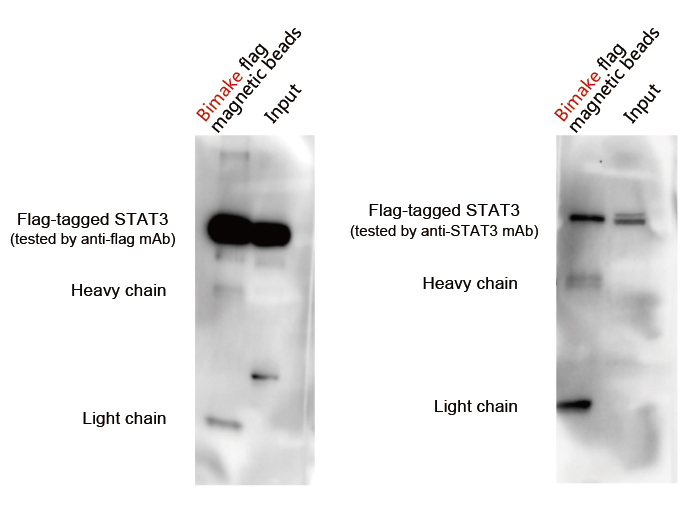 Flag tagged protein is not expressed in the sample. Make sure the protein of interest contains the FLAG sequence. Incubation times are inadequate. Increase the incubation times. Interfering substance is present in sample. The lysate may contain high concentrations of dithiothreitol (DTT), 2-mercaptoethanol, or other reducing agents. Excessive detergent concentration may interfere with the antibody-antigen interaction.